This week is Dementia Awareness Week; a time to reflect on the huge numbers of people living with dementia. According to figures provided by the Alzheimer’s Society, over 80 per cent of people in care homes have dementia. There are 800,000 adults – some aged as young as 40 – living with dementia, but fewer than half of those have been diagnosed. We’ve been speaking to the Leeds Alzheimer’s Society in Armley to find out what they are doing to mark the occasion and to find out what support is available for dementia sufferers and their carers in Leeds. Samantha, what are you doing to raise the profile of dementia in Leeds this week? This year’s theme is ‘talking’ so the aim is to help people reminisce; bring back old memories and just talk to each other. We’ve been busy fundraising to help set up a range activities for the week including a pub lunch, a remembrance dance (in partnership with Leeds Involving People and Leeds City Council), a day trip to Knaresborough with a picnic lunch, a trip to the seaside and a ‘natter and chatter’ session followed by a barbeque. It’s about providing the opportunities for people to talk with professionals and organisations like ourselves and carers support. We’ll also be at Sainsbury’s (Headrow), St James’ Hospital, the Civic Hall for a tea dance and also in Rothwell to talk to people about dementia and the support that is available in Leeds. 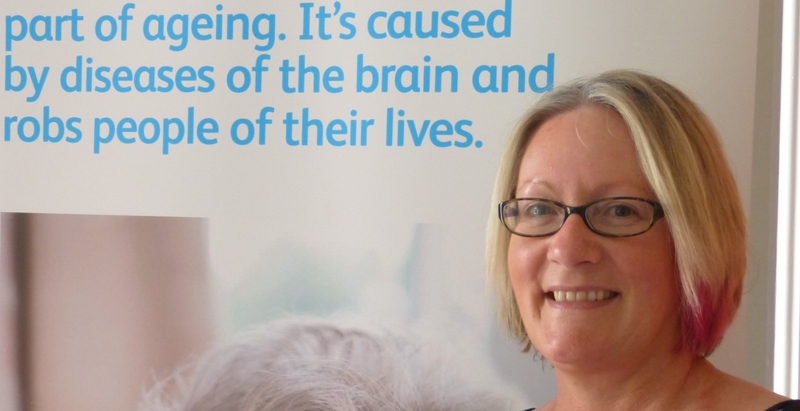 How does the Alzheimer’s Society support people who are living with dementia in Leeds? We help to reduce isolation so people have the opportunity to socialise with other people – this includes peer support which involves supporting each other practically and emotionally. We provide one-to-one workers so together they can decide what groups to be involved with, the activities to do and the days they want to attend. We also signpost people to other support services and organisations as needed. There’s seems to be a misconception that dementia only affects older people (those over 65 years old) but you support people who are under 65 don’t you? Yes, we support people who are 65 years and under with dementia in Leeds. Most of our service users in the day centre are around 50 to 65 years old. Our cut of point isn’t so strict however, so if people want to attend after the age of 65 and the service is still appropriate for them, they can continue to use the service. In home support, we find that people who are being referred to us are a bit younger as they are probably in the early stages of their diagnosis. In the past, we’ve even had people referred to us who are in their 30’s or 40’s too. Providing a service that meets all the requirements of every individual is difficult because as times change, we also have to change what we provide here. In addition to the services people can access here, we need to make sure people can access services in their local community which promote independence and ensure people are supported all the times. Funding cuts (which we’re all familiar with) are also challenging as transport, staff and training costs rise but the important thing is to maintain the same high standard of care. We rely on funding and our own fundraising to do these extra things. We have groups of volunteers who come to help from other organisations who have volunteer days so, instead of paying to maintain the garden for example, they help us tidy our gardens or decorate our rooms. It’s all about finding different ways of doing things and we understand it’s the same for most organisations at the moment. How do you work with Leeds City Council? We are funded by Leeds City Council and they monitor us to ensure we’re meeting our contractual requirements and are providing the sort of service that people in Leeds need. We also complete questionnaires and get feedback from our service users and carers to ensure we’re meeting their requirements too. How are things changing in the future? We’re moving more towards community based activities and services that people can access independently rather than relying on building-based day centres for example. So, we’re shifting our services into the community rather than people coming here to the day centre. We’re also working more closely with the neighbourhood networks to signpost people to other organisations where needed. For more information about the Leeds Alzheimer’s Society, click here. Rhian, what does your role involve? 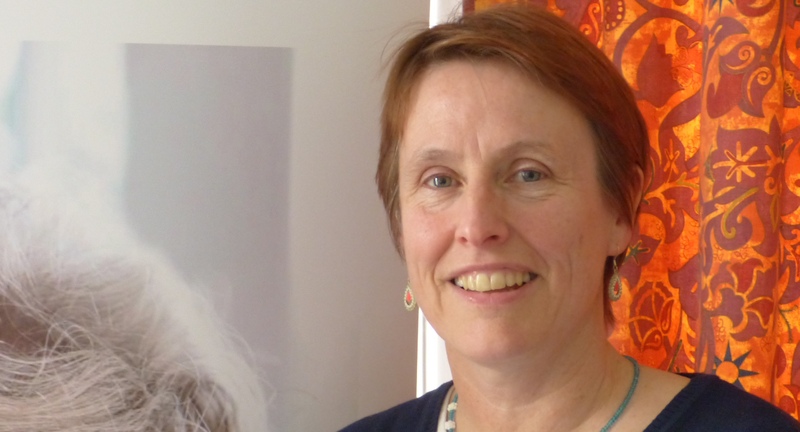 I manage two dementia advisors and a group of carer support workers. The advisors work with people who are perhaps starting on their journey towards the diagnosis. Very often, they will support the person with dementia and then refer the carer into the other part of the service. We work separately and also together to support the family going through that change. The carer support workers offer information and advice around the diagnosis. Some carers want to know what’s going on and some don’t initially because it’s too frightening to engage in that conversation. In the news last week, there was a piece that said carers are more likely to suffer with depression. What support does the Alzheimer’s Society offer to our carers in Leeds? Yes, it was about GPs being able to recognise the support that carers need in addition to the person they are providing medical care for. I think nationally there’s awareness now that being a carer can be very isolating. Here at the Alzheimer’s Society, we have carers support groups and activities that they can do with the person they support, like dementia cafés for example. Those are really popular throughout the city and are done in collaboration with other voluntary sector organisations. It’s a place where people can go along and forget about all the worries they have. It’s not about focusing on dementia; it’s about focussing on having a good time. When you’re with someone who has been diagnosed with dementia, your relationship can change and going to the café helps to take it back to what it used to be. Carers get a lot of support from other carers who have similar experiences. Having that acknowledgment means a great deal and it reduces the isolation. The singing groups are called ‘singing for the brain’ and again, it’s an activity that carers can do with people they support. It’s nice to spend an afternoon or morning where you sing along with other people and you get tea and biscuits. There are also other singing groups that have been developed by other voluntary sector organisations. There is an acknowledgment that caring for somebody, for anybody can be difficult. To support our carers we offer complimentary therapies (six sessions). We also offer a holiday grant so they can go away for the weekend on their own or with the person they care for – that’s not just about caring for people with dementia; it’s about caring for everyone. In addition to this, we can also put people in touch with Carers Leeds as they have access to lots of other support too. What is the referral route? To access the carer’s service, the person you are caring for has to have a diagnosis of dementia. The referral to us can be a self-referral or sometimes it’s done through the memory clinics that the person they care for attends – we have very few referrals through the GP but this is also an option. For more information about the Leeds Alzheimer’s Society, click here. To find out about other care and support services available in Leeds, visit www.leedsdirectory.org or call 0113 391 8333.